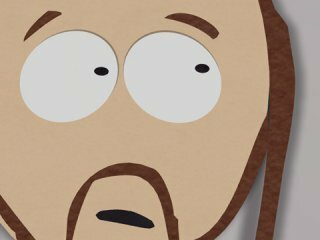 South Park Episode 206 - "The Mexican Staring Frog of Southern Sri Lanka"
Mr. Garrison assigns the boys learn out about Vietnam from somebody they know. Stan's Uncle Jimbo and his friend Ned tell the boys their outrageous tale. Mr. Garrison doesn't believe the boy's report and gives them detention. They plot revenge against Stan's Uncle by submitting a phony video of the Mexican Staring Frog of Southern Sri Lanka to them.